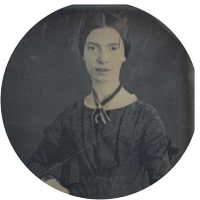 A collection of the best Emily Dickinson quotations. If you ever feel lost, let your heart be your compass. I've heard the hunter tell. Luck is not chance, it's toil. Fortune's expensive smile is earned. Luck is not chance — it's toil — fortune's expensive smile is earned. One need not a house; The brain has corridors surpassing material place. The soul should always stand ajar, ready to welcome ecstatic experience. I shall not live in vain if I can ease one life the aching or cool one pain. The power to console is not within corporeal reach—though its attempt is precious. Hope is the thing with feathers that perches in the soul—and sings the tunes without the words—and never stops at all. We never know how high we are till we are called to rise; And then, if we are true to plan, Our statures touch the skies. First—chill—then stupor—then the letting go. Will you tell me my fault, frankly as to yourself, for I had rather wince, than die. Men do not call the surgeon to commend the bone, but to set it, Sir. If I read a book and it makes my whole body so cold no fire can ever warm me, I know that is poetry. If I feel physically as if the top of my head were taken off, I know that is poetry.